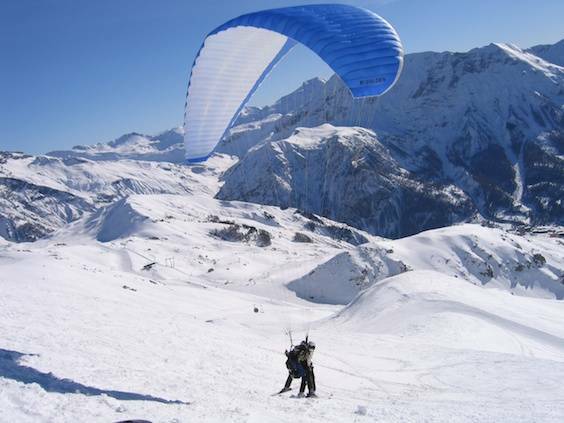 Most people think of paragliding as a summer activity. 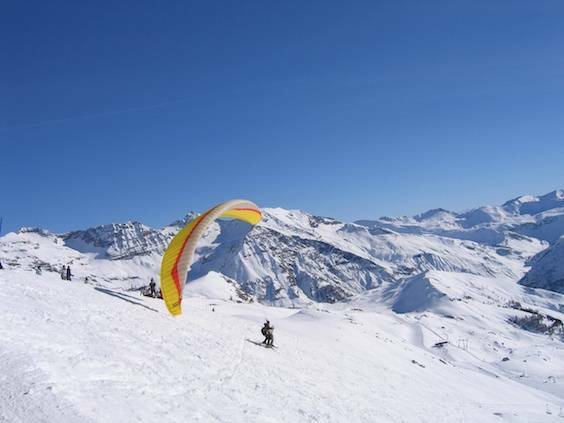 For learning to fly and longer flights, summer is definitely the best time of year to experience it. 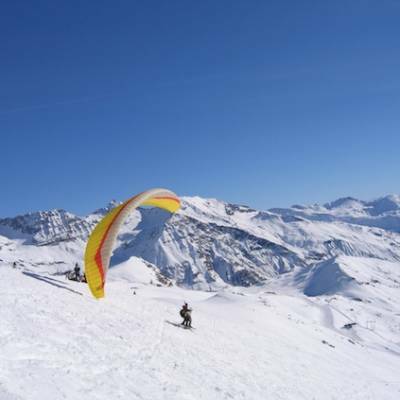 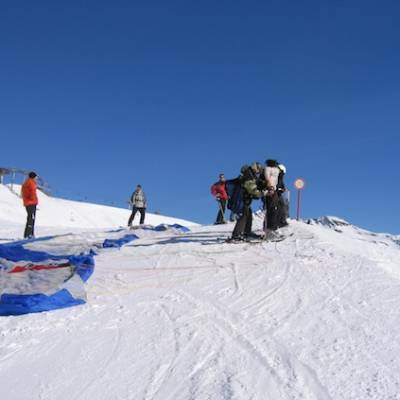 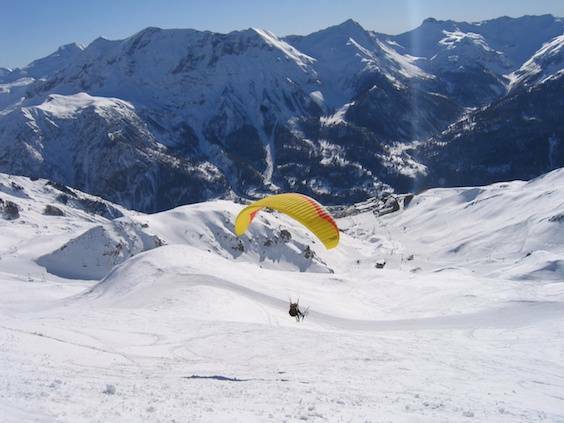 However, it is also possible to paraglide in winter - all you need are thermals - on your body and in the air!!! 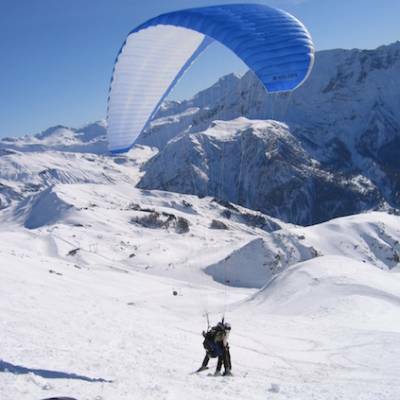 Most companies offer tandem flights in winter and what better way to admire the snowy mountains in their white winter covering than from the air! 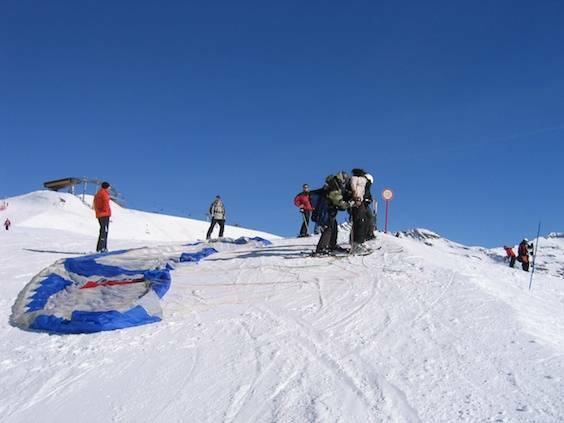 The set up is slightly different in winter and as you will be landing on snow, you do need to be wearing skis to do it! 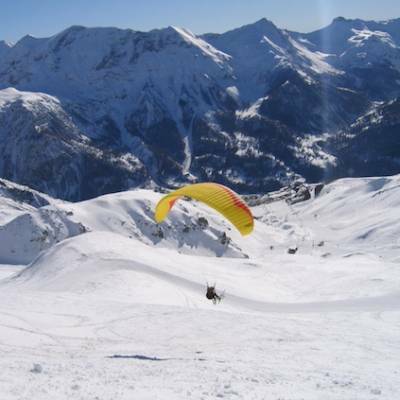 You don't need to be an expert skier as your instructor will land for you but you will need to ski back to the resort from wherever you land so do need to be able too manage a green piste ideally.